Kaló Pásxa - HAPPY EASTER! 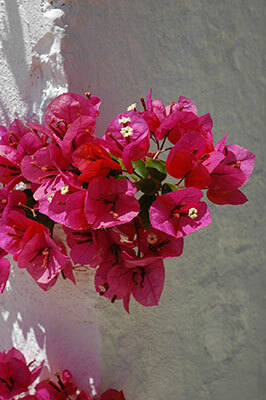 The Greek Islands offer a springtime rich in beauty, bounty, and tradition. 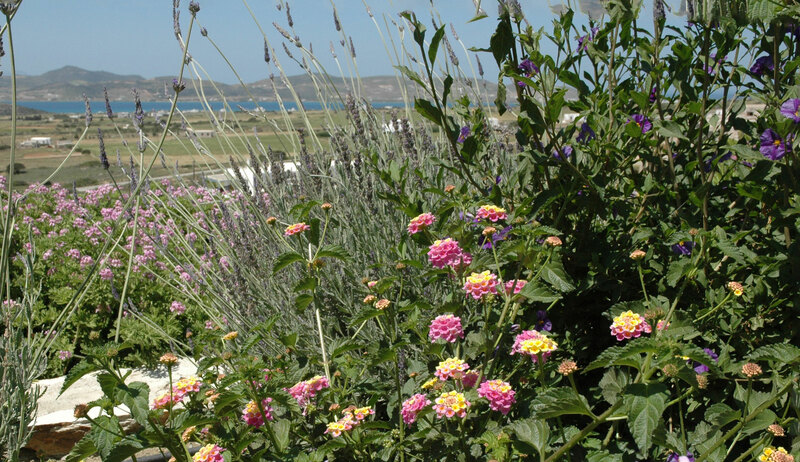 In Paros, aromas of lavender and rosemary intermingle and carpets of wildflowers decorate verdant hills. A feeling of rejuvenation overtakes the country as everyone prepares for Easter, by far the biggest holiday in Greece, and celebrated in a beautifully unique way. Every city, village, and church takes part in Easter ceremonies rich in both pageantry and piety. Easter week, or Holy Week, is marked by different events each day leading up to Easter Saturday and Sunday. Some of the most remarkable celebrations are the procession of the flower-decorated epitaphios (bier of Christ) on Good Friday and the Resurrection Mass on Saturday night. Easter Sunday is the day for celebration and the breaking of the Lenten fast with lamb roasts and jubilation. The myriad churches across Paros each offer unique celebrations of the Easter rites. One of the highlights of Holy Week is to take a tour of the flower-decorated epitaphios lying in state in each church. This is normally done during the day on Good Friday. From the small chapel of Iera Moni tou Christou tou Dasous (Holy Church of Christ of the Forest) to the exceptional Byzantine cathedral of Panagia Ekatondapiliani (Our Lady of One Hundred Doors), you see these impressive handmade expressions of devotion and observe the constant stream of devotees coming to pay their respects. Choose any church to attend the Saturday Midnight resurrection mass; you will not soon forget the magic of experiencing this unique ritual first hand. Saturday of Lazarus: Holy Week begins one week before Easter Sunday with children going door-to-door singing the hymn of 'Lazaros' and collecting money and eggs. Palm Sunday: churches hand out crosses made from palm fronds for people to place on their icon-stands at home and keep for the coming year. Holy Tuesday: housewives make sweet rolls (koulourakia). Holy Wednesday: in the evening, the blessing of Holy Oil takes place in church. Holy Thursday: the day for dyeing eggs. Hard-boiled eggs are dyed red and either baked into twisted sweet-bread loaves or distributed on Easter Sunday. The egg game: it is the tradition to rap one's egg against those of friends and family. The owner of the last uncracked egg is considered lucky. In the evening, after the reading of the Twelve Gospels, local girls decorate the epitaphios with garlands of flowers. Good Friday: treated as a day of mourning in recognition of the death of Christ. Sweet things are not eaten and the Vesper service in the evening is followed by the wonderful procession of the epitaphios (representing Christ's funeral). The procession often includes a band or choir, cantors, the clergy, women bearing myrrh, the altar boys carrying liturgical fans, and the people of the region, singing hymns. All along the route, people holding lighted candles scatter flowers and perfumes on the epitaphios. Holy Saturday: the Resurrection (Anastasi) mass takes place. This midnight service is without a doubt the most important religious event of the year. At midnight, all the lights in the church are extinguished and the priest uses his candle to light a parishioner's candle. This flame (a symbol of the resurrection) passes from candle to candle, and light fills the church. The moment of the resurrection is marked by kisses and greetings of 'Christos Anesti, Alithos Anesti', ('Christ has Risen, Indeed he has Risen'). Before re-entering one's house in the early hours of Easter Sunday, it is customary to make a cross with the smoke of the lighted candle on top of the door. The custom is then to light the oil candle before one's icon-stand and try to keep this light burning throughout the year. Easter Sunday: the final, joyous celebration sees the gathering of families throughout the day, and the roasting of lamb, rotisserie-style (Arni Pashalino tis Souvlas - Easter Lamb on the Spit) along with general feasting and good times.